Tommy Heaney is Head Chef and owner of Heaneys Cardiff. 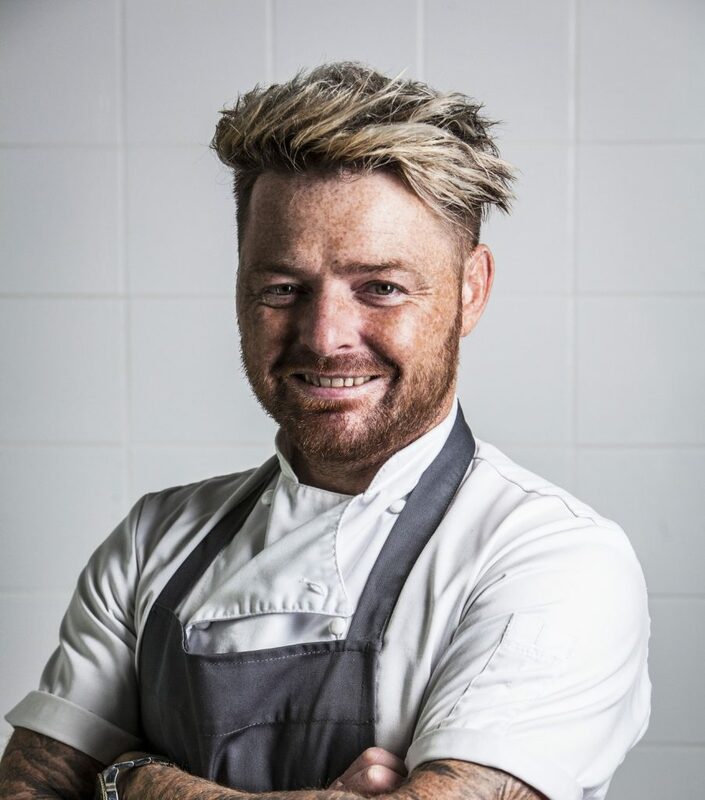 Born in a small town just outside of Belfast called Crumlin, Tommy’s culinary experiences have been a journey. He first started in the kitchen in America, where he washed dishes over the school summer holidays at his uncle’s restaurant, Legends, in Maryland. Drawn to the competitive yet creative nature of the kitchen, Tommy soon had a clear ambition, to become Head Chef as fast as possible. Self-taught Tommy quickly achieved this, and with his mission accomplished he continued to hone his skills in the US. Returning to the UK at the age of 18, Tommy landed a job with chef Tony Hughes, who taught Tommy a repertoire of classic culinary techniques, adding to his already vast amount of self-study. Feeling confident about his cooking, Tommy was set for his next adventure which took him to Australia, then to Thailand and then to London where he worked with Richard Corrigan. Coinciding with the start of a new family, Tommy moved out of London and soon found himself running Restaurant Tommy Heaney at The Great House in Bridgend. It was here that Tommy was able to combine his learnings and influence from the people that he had worked with to create his own signature style. Simple, pared-back, contemporary and technically accomplished with a focus on minimal waste of the ingredients he uses. Rave reviews followed and an invitation to appear on BBC’s Great British Menu (2018) confirmed Tommy’s reputation as one of the UK’s most exciting culinary talents. It was then, that with his own life savings, no investment support and a popular Kickstarter campaign, the eponymous restaurant, Heaneys, opened in October 2018 – Tommy’s first solo venture. The 50-seater restaurant is centred on sharing plates and offers a daily changing menu making the most of what’s in season and available from his trusted suppliers. Tommy plans to open an adjoining restaurant and bar which will give Tommy the opportunity to incorporate more of his heritage and worldly adventures. The future looks bright for Tommy Heaney – his real journey starts here.